Groundhogs are not the cutest animals in the world, but apparently they are amateur meteorologists. Every year on February 2nd, they give us a prediction how long winter will be. 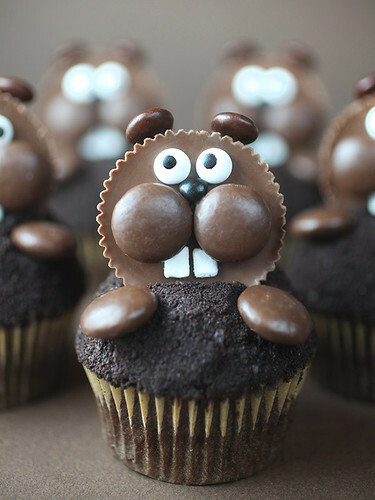 If you are having a snow day today, then maybe you can make these adorable Groundhog Day Cupcakes by Bakerella.